She Writes Press, 9781631521072, 312pp. Millions of people watched sportscaster George Michael each week on the Sports Machine, including his daughter Cindi. Cindi Michael appears to live a charmed life: she's happily married, has a successful career, and is a loving mom to two wonderful children. Yet she longs for a father who hasn't spoken to her in twenty years, and even secretly watches him on TV when the longing becomes unbearable. When Cindi was eleven, her father fought for sole custody of her and her siblings, raising three children on his own despite being a bachelor and rock 'n' roll DJ in New York in the 1970s. But with his rising fame as the host of the popular show Sports Machine, his 80-hour-a-week work schedule, and his second marriage, the close relationship Cindi shared with her father began to crack; she did everything to earn his love and attention, but for perfectionist George, it was never enough--and when she was eighteen and a freshman in college, in a burst of anger he told her never to come home again. As the years went on, Cindi struggled to steel her heart while still remaining hopeful that they would one day reconcile, just as her father did with his own dad, and transcend painful family patterns that span generations. 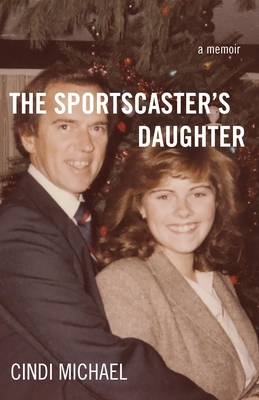 Candid, moving, and ultimately hopeful, The Sportscaster's Daughter is a family story of forgiveness, faith, and strength.